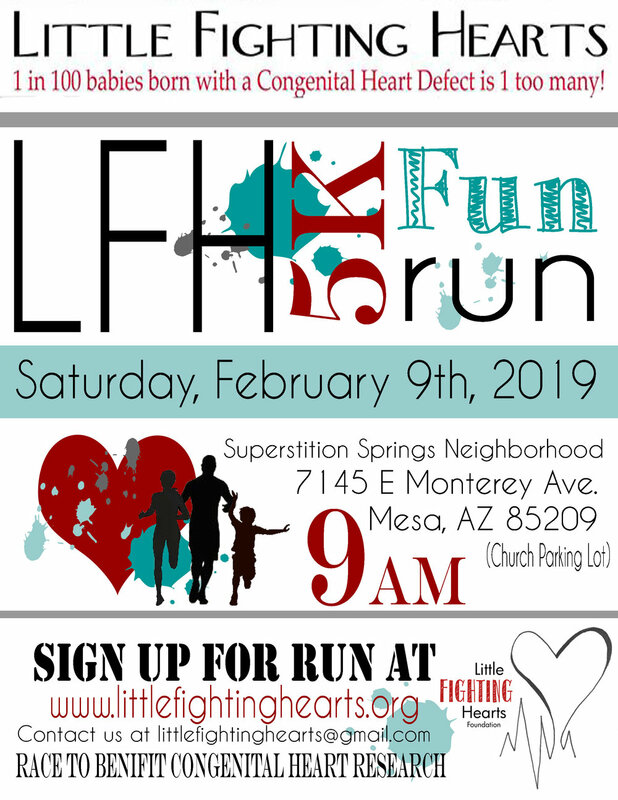 Come join the LFH team for our second annual 5K fun run! This is a family friendly Fundraising Event. We will have a 5K course through the lovely Superstition Springs Neighborhood. Come have fun with us and learn more about the impact of Congenital Heart Defects. Registration opens at 8:00 am and the Fun Run begins at 9:00 am. Our Bake Sale Pre Orders are well underway. We are really excited about all the efforts being made in support of our cause. We know with continued support we will be able to raise even more this year! Be sure to take some time and check out what we are offering on our Bake Sale tab.